Hey there. It's been awhile since I last attended an expo. I think the last one I went to was the AM2 Expo in Anaheim a few years back. Well... I went to LA Fitness Expo as well but I don't think I covered that. Anyways, when I read online that there was an anime/gaming/cosplay/just about everything else Expo going on in Lancaster, CA, I just had to get inside scoop! 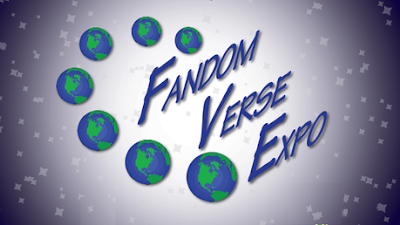 Welcome the FandomVerse Expo! It's a relatively new expo that is still feeling its way and this is their second year holding an event. Last year, they had a one day expo while this year, they are making it a 3 day affair! And guess what?! I have a press badge! After reaching out to the awesome people behind FandomVerse Expo, I was able to secure a press badge for some primo seating and interview time with some of the guests of honor! How awesome is that?! The event is being held over the Labor Day weekend and, actually, started today. I wasn't able to do much today than grab my badge so I'll definitely be there tomorrow to really immerse myself in some fun. Even though the FandomVerse Expo is still young, they have managed to secured a few guests of honor that I would love to chat with. First and foremost, I would love to be able to grab Danielle McRae. This lovely voice actress loves gaming and anime and done some voice over work in League of Legends, World of Warcraft, Sword Art Online, and Gargantia: On the Verderous Planet. ObiShawn never leaves home without R2D2. Another guest of honor that I would like to chat with Shawn Crosby, also know as, "ObiShawn". The guy was a propbuilder for Star Trek, toy designer for Mattel, model maker for Disney, and game designer for Vivendi. I mean, he can do it all! He has supported over 160 different charities a year while in costume, portraying many characters from Harry Potter and Star Wars. 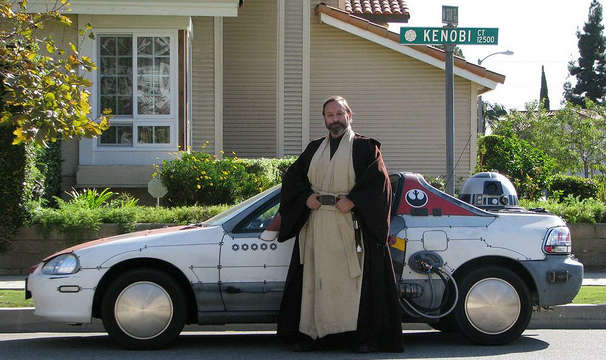 He also rolls around in one of two must see vehicles: the H-Wing and Z-Wing art cars! I'm definitely going to try to snap a picture of the cars if they are available! I'm also hoping to catch a few musical acts, specifically Amethyst and Green 183. Amethyst has steadily made a name for themselves over the last few expos and conventions that they performed in. They are cover band that covers a lot of different genres of music and sings in multiple languages. I am definitely intrigued by this and would love to check em out! Also, Green 183 is a Green Day and Blink 182 cover band and I would love to see what they can do with well known musical hits. I've seen a few rock cover bands before and each have a different spin on well known music so I would like to see what Green 183 brings to the table. And lastly, the gaming. There is going to be some tabletop gaming, some console gaming, and competitions to be had. I would love to participate in one but I am not sure if I'll have the time. Participants compete on Saturday and the championship matches will be held on Sunday in front of a live audience. Games to compete include Mario Kart 8, Mortal Kombat X, Ultimate Marvel VS Capcom 3, Ultra Street Fighter IV and Smash Bros. on the Wii U. 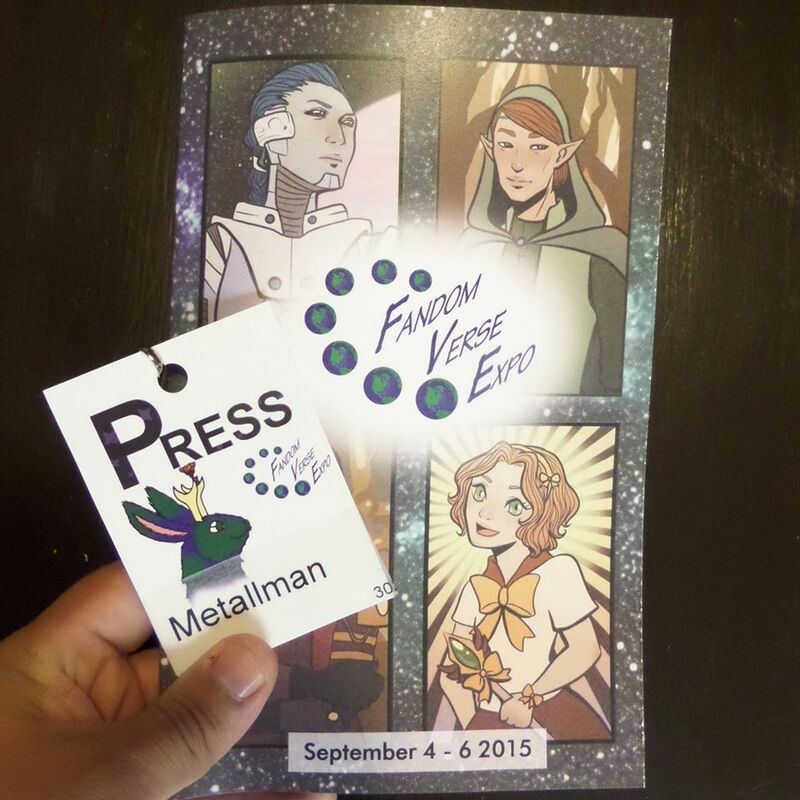 My press badge is printed and ready to go! If you are in the area, I hope you can make it. Would love to meet up with some of you at the FandomVerse Expo! Again, this is only the second year in existence for the expo and I'm spreading the word, in hopes that one day, this local expo can make it to a larger scale. Later!